Scaravelli inspired yoga what does it mean? Scaravelli inspired Yoga. What is it? Despite that she starting yoga in middle age she went on to become one of the most influential yoga teachers in the west. And because her students were for the most part already yoga teachers, her teachings have inspired or influenced countless yoga teachers and students alike. John Keats is strongly linked to the Isle of Wight, Islanders are proud of their Islands artist heritage. John Keats was an English Romantic poet who died at the age of twenty five. During his short career he published fifty four poems, ‘in three slim volumes and a few magazines’. Having only become a poet in the last six years of his short life retrospectively he has become one of the best loved and often studied English poets. He stayed on the Isle of Wight during 1817-1819. During that time, he resided in two houses, one in Castle Road in Carisbrooke and the other Eglantine Cottage in Shanklin. Who is Vanda Scaravelli and why inspired Yoga? What is Scaravelli inspired Yoga? & who is Vanda Scaravelli? 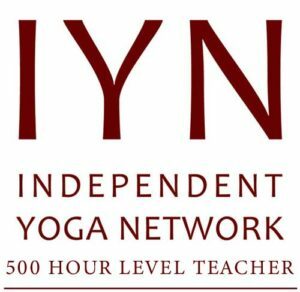 Scaravelli inspired Yoga is a form of Yoga practice that respects the ‘revolutionary’ understanding of Yoga shared by Vanda Scaravelli during the later years of her life and through her book ‘Awakening the Spine’. Vanda Scaravelli the name sake of Scaravelli inspired Yoga was born in 1908 in Florence Italy, to a highly musical and intellectual family.